Many new iPhone users may have the same problem like this, especially for some geek-oriented music lovers. They may have thousand of favorite music on their old Android phone and don’t know how to import them to iTunes after they switched their Android phone to new iPhone. Don’t worry. The post will detailedly show you how to transfer Android music to iTunes on PC. One method is by manually putting your music folders from Android to iTunes for free. You need to download and install iTunes on your PC firstly before you transfer music from Android to iTunes. Here are detailed steps transferring music from Android to iTunes directly. Step 1. Connect your Android phone to computer as an external hard drive by using an USB cable. Step 2. Click on the SD card of your Android device and copy the music folder to the computer. Step 3. Run iTunes on your PC. Click Music library. Click File >Add Folder to Library. Click the Android media folder and click “Select Folder” to add it to iTunes. Another method is by using the third-party software. Leawo iTransfer is regarded as one of the best iPhone, iPad and iPod transfer software, professionally transferring various of files among iOS devices, iTunes and computers within a few simple clicks. In addition, you can also transfer music, songs and playlists from PC or iTunes to your Android devices. The following guidance will show you how to transfer music from Android to iTunes with Leawo iTransfer. You can free download it and have a try. Step 1. Connect your Android phone to computer as an external hard drive by using an USB cable and run Leawo iTransfer. Then click to “Music” library under iTunes Library. Step 2. Choose music you want to transfer and add them to the software. There are four ways to add music from Android phone: Right-click music library and choose “Add File” or “Add Folder” ; Click “File” on the upper right corner, and choose “Add > Add File/Add Folder” ; Right-click the interface of the software and choose “Add > Add File/Add Folder”; Click “Add” button on the top left, then choose “Add File” or “Add Folder”. Step 3. 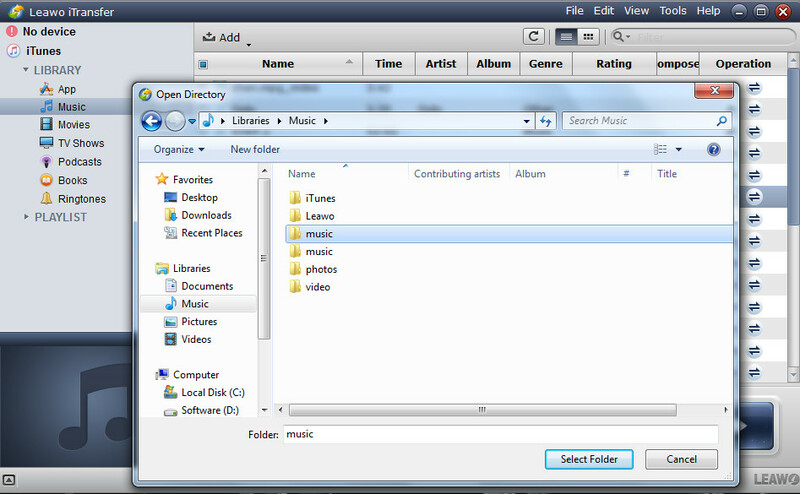 Choose music files or folder you want to transfer from your Android device and add them to iTunes. The guidance above are about how to transfer music from Android to iTunes with two methods. You can choose anyone you like. Apart from transferring music from Android to iTunes, Leawo iTransfer is also helpful for transferring files among iOS devices, iTunes and computers. 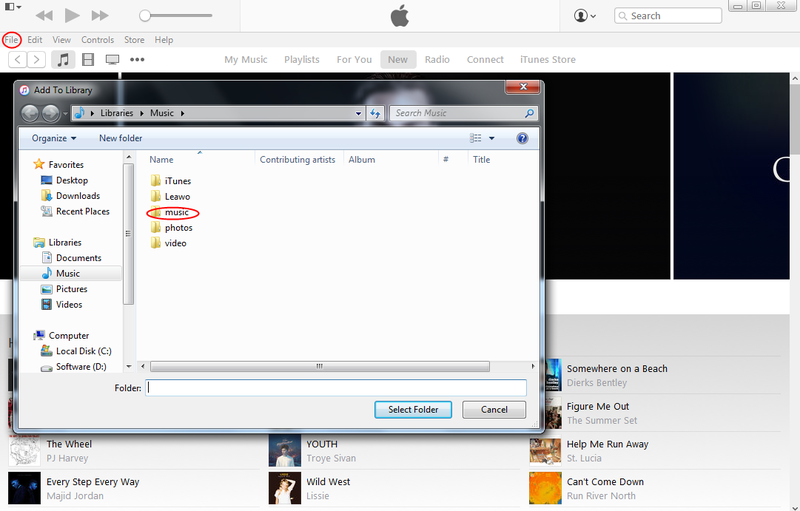 For example, if you want to transfer music from iTunes to Andriod, it can also help you accomplish it.